The world celebrated the late Benazir Bhutto’s birthday on Thursday. Had she been alive, she would have been welcoming her 65th year. 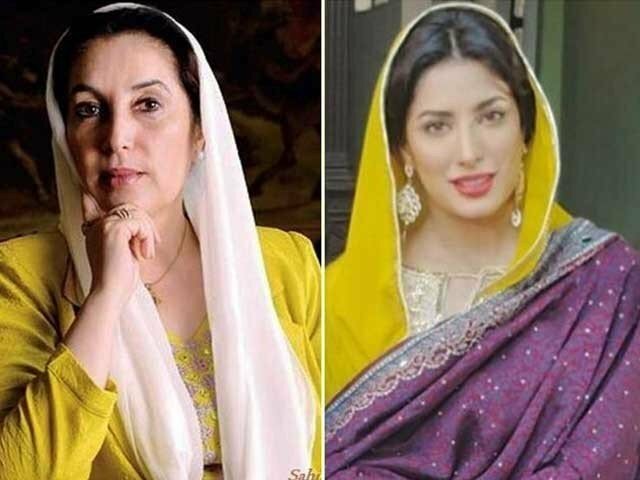 However, it appears that filmmakers in Pakistan are planning to immortalise the slain PPP leader by making a biopic on her life and they have cast none other than Mehwish Hayat as Bhutto. While other details surrounding the project are not known as yet, Mehwish on Benazir’s birthday, posted a photo to Instagram with the announcement. However, in an interesting turn of events, Benazir’s daughter, Bakhtawar Bhutto Zardari has slammed the idea, saying that no consent was sought from the family for the project. Previously, Hayat took to Instagram to share a screenshot of a local publication’s article which suggested that the actor will soon be taking Benazir to the silver screen. This is definitely one biopic we cannot wait for! There is definitely striking resemblance between the two.